As clever and original as it is tedious and broken, Mafia 3 has the makings of a classic, but doesn't go the distance. Starts promisingly, but soon slips into a tiresome, repetitive grind, never doing its unique period setting justice. Mafia 3's strong characters and confident storytelling kept me engaged, even if the gameplay rarely delivered anything but bog-standard and repetitive open-world action. That's a bummer, because Lincoln is an incredible protagonist and New Bordeaux is a fantastic setting thematically, and it would've been great to see them put to better use. A game of inspired highs diluted with pedestrian lows. Worthy, but achieves less than its true potential. A horrible waste of a strong narrative, whose politically-charged storytelling is squandered on a dull and horrendously repetitive GTA clone. Though Mafia III's storytelling is exceptional in every way, it's not quite strong enough to compensate for dated gameplay, repetitive missions, and technical issues. Mafia III is a smartly written and enthralling open-world action game bogged down by technical issues and a repetitive structure. An occasionally frustrating open-world experience that's greater than the sum of its parts. Hangar 13 tells a great story in Mafia 3, pitting Lincoln Clay against those who took his family from him. Great characters, solid dialog, and some top-notch motion capture flesh out the world. Unfortunately, the open-world nature of the game kills the story pacing with a repetitive mission loop. Mafia 3 could've been great, but it's just good. Like the era it paints, Mafia III feels like a relic. It's dated, has obvious flaws, and doesn't hold up particularly well when compared to a lot of modern works. Most damning, it's rarely in tune with itself, often contradicting itself in big ways. It's tough to not feel like Lincoln Clay deserved better than this. Mafia 3 seems to be a great game that was rushed to meet deadlines. Whether this decision was based on meeting quarterly expectations for parent company Take-Two or if it was due to the development budget running out, this game would've greatly benefited from a couple more months in development. Sadly, it's paid the price for its rush to market with a noticeable lack of polish across gameplay and presentation. Mafia III has a very powerful begining, but fails when the player advances in the game. The only part that can be seen as great is its story, but the tremendous graphic and gameplay issues make this game a deception. Mafia III is a game with a great plot, great characters, and great setting, but it's hamstrung by the repetitive nature of its mission structure. Having to go through the same tasks in each territory means a sense of fatigue enters quickly, and there isn't much in the way of distractions within New Bordeaux to break things up. The pieces of a great game are all here, but they just don't quite fit together. Ever listen to a hip-hop album that is laced with incredible production, but the MC's lyrics and delivery are hit and miss? Mafia III is the video game equivalent to that analogy. The folks in charge of the presentation, script and story have done a bang-up job. Clay's quest for revenge is enough to keep your attention throughout. If you approach Mafia III as an interactive journey, then you probably won't have any issue with it overall. If you're looking for a fully fleshed out title akin to GTA, then Mafia III could come off as a shallow release. Mafia 3 has one of the best stories we've seen between the video games that released this year. However it suffers greatly from a repetitive gameplay experience, mediocre mechanics, and bad visuals. It's stellar story is not enough to make up for how disappointing everything else is. 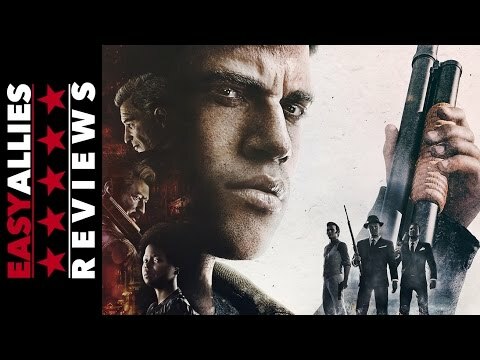 Mafia III is an enjoyable and fun game, even if you don't have to expect the splendor of GTA V, the insanity of Saints Row IV or the great locations of Far Cry 4. Hangar 13 has opted for a more conservative delivery, more true to its roots and dump all the weight of the game in the narrative. However, for the way he has presented a playable development of history too repetitive, to access assassination missions of the ringleaders, they'll let us some good shooting on the best stages of the game, with interior worked.